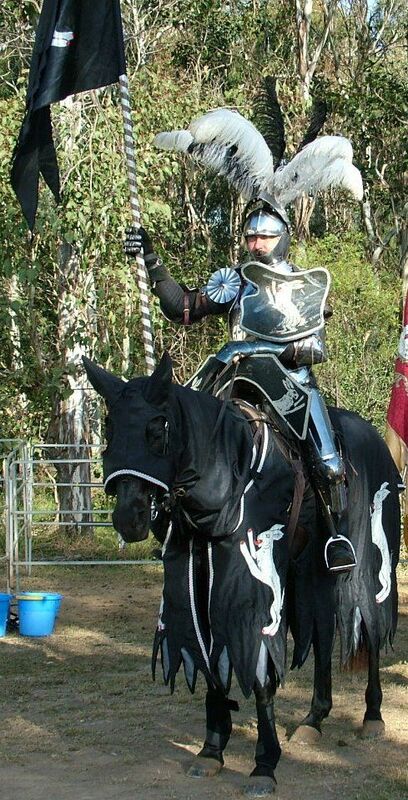 The Professional Jousting League was started in Australia by well-known jouster, Rod Walker, the coach of the black team on the tv show "Full Metal Jousting". The mission of the Professional Jousting League(PJL) is to hold large scale professional jousting tournaments presented as a modern sport. There will be space within the PJL for both experienced professional jousters and those aspiring to become professional. Unlike most jousting tournaments, those sponsored by the PJL are intended to be seen as a modern sport. Therefore sponsors' logos, banners etc. may be displayed on the tilt, the field and/or competitors caparisons if they wish. Michelle Walker has been riding almost all her life in multiple disciplines of equestrian activities. In 1992 when her husband Rod Walker decided he wanted to take up jousting, she thought he was mad, but went along with it and it wasn’t long before Michelle was training the horses to joust and getting her first suit of armour to participate. Michelle began jousting at public events and it didn’t take long for her to want to compete with her first tournament at Abbey in 2001. Michelle got the joust/tournament bug and started to compete. In 2004 Michelle competed in the American Style in the women’s division at the Dragons Lair Jousting Tournament in Canada and followed this up by coming 3rd at a tournament in Norway, followed by competing in Sweden, but had to withdraw due to injury, then won the Australasian Championship in 2006 where she beat 7 men for the title and helped take the Australian Team to Victory. Michelle also competed successfully at Harcourt Park in NZ in 2007. Rod Walker is a founding member of the International Jousting Association and has dominated jousting since he began competing. He has won or placed in every tournament he has entered and has had a huge impact on jousting in the modern era. He has competed all over the world including spending a season on the toughest jousting circuit in the world, the full contact North American circuit. He is also one of only a few jousters worldwide to have jousted in a fully historical joust using solid lances fitted with steel coronels both in 13thC historical harness (riveted mail) and in 15thC full plate. Rod is one of the most experienced and knowledgeable jousters in the world and is renowned as one of the best and toughest jousters in the world. He is the winning Black Team Head Coach on the tv show "Full Metal Jousting" having trained the overall winner, the second place getter and the winner of the Teams Choice Joust. 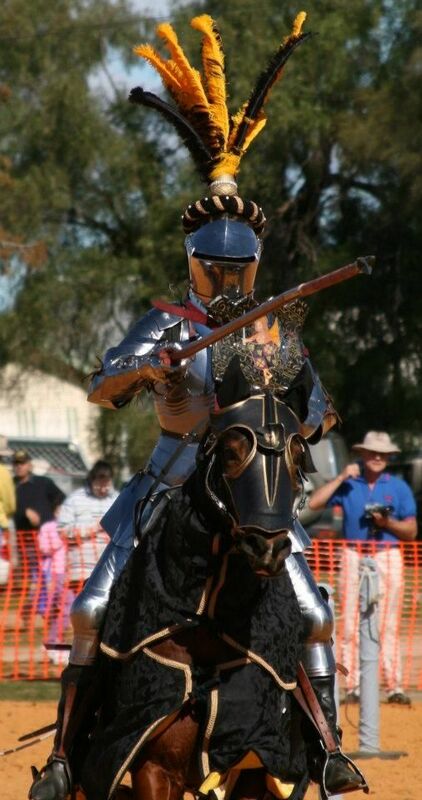 After spending three years off from competitive jousting Rod decided to enter the Blacktown Medieval Fair Joust at the last minute, and with no training under his belt, he won it by a huge margin and was only one lance from a perfect score for the whole tournament. Phillip Oliver has been riding all of his life in the hack arena, before deciding that he would like to do something more spectacular with his horses. So in 2008 he joined Rod and Michelle Walker’s Jousting Troupe Full Tilt. Since joining Full Tilt, Phillip has been training hard and has attended many of Full Tilt’s shows throughout Australia. Phillip has come a long way since he started jousting, and he took the jousting world by storm when, in his first jousting tournament, he came 3rd in the joust at the 2009 St. George’s Day International Jousts at IronFest in Lithgow (Australia) - more than holding his own against some of the world’s best jousters. Since then Phil has competed in Australia and New Zealand, and he has since placed 1st in NZ and 2nd at St Georges Day Jousting in 2010. Phil loves to compete and enjoys entertaining the crowd at Full Tilt Jousting Shows. In 2011, he won both the St Georges Day Jousting Tournament and the Blacktown Medieval Fair Jousting Tournament. 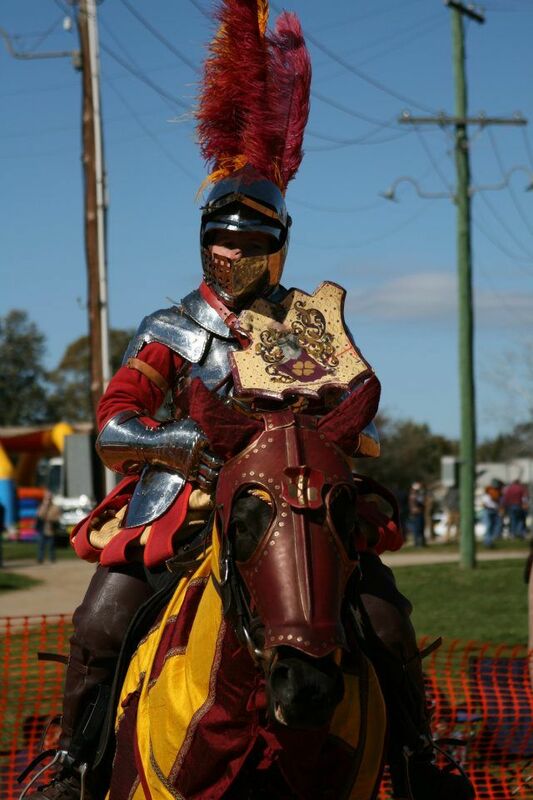 Phillip also placed 2nd at the Full Tilt Jousting Tournament (Australian Championships) in Bathurst in 2012 and 2nd at the Blacktown Medieval Fair Tournament in 2012. Andrew McKinnon hails from Sydney's northern beaches and came to jousting later in life after a misspent youth as a rock and roll musician. Andrew is married with three strapping young squires and owns a communications company with his long suffering joust widow, Andrea! 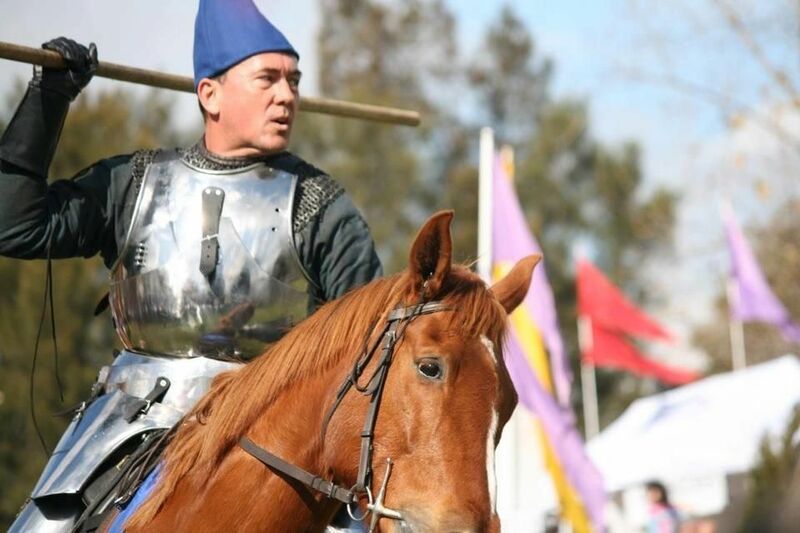 In 2007 Andrew discovered that real jousting still exists, and after training with Rod Walker advanced enough to be able to compete in his first tournament less than three years later, despite having never ridden a horse prior to his 40th birthday! In his debut in Australia at the 2010 St George’s Day Joust Tournament, Andrew placed a creditable fourth, beating some of the world’s best. Andrew was a member of the victorious Australian Jousting Team in 2010 that defeated New Zealand at the Taupo Knights Challenge. In 2011 Andrew, as Captain of Arms, returned across the Tasman to defend this country’s honour at his second Taupo Knights Challenge. Andrew won the Skill at Arms contest at Blacktown Medieval Faire, May 2012, this tournament also involved four individual foot combats with the longsword after each joust/riding session where Andrew won every session. Andrew placed 3rd at the Australian Jousting Championships, Bathurst May 2012. He was also a member of the winning New World Team over the Old World European Team, Neauphle le Chateau, France, June 2012. Andrew won second in the joust at the Winterfest Tournament in Sydney, Australia and first in the skill at arms. Andrew looks forward to developing his dressage skills and winning more renown in Australia and overseas.